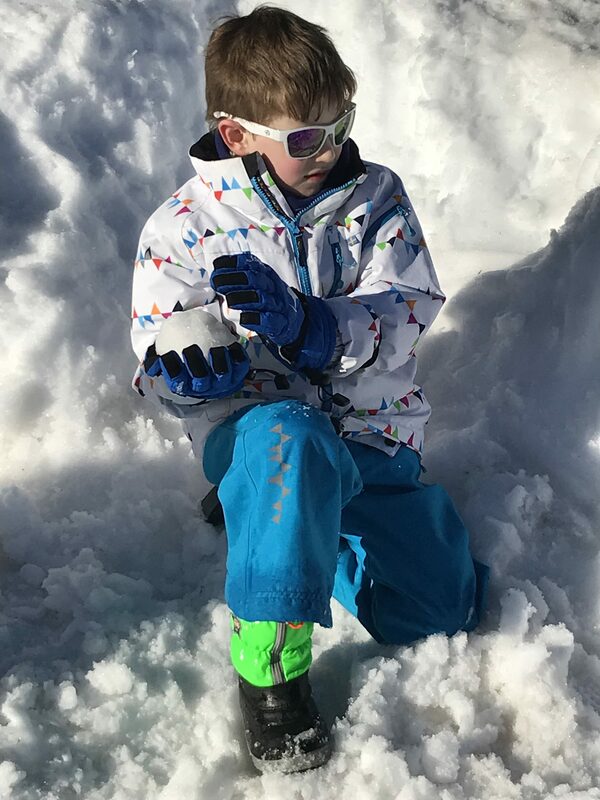 Skiing is my passion, something that I’m keen to pass on to my little boys. So, we ski as much as possible. So I look hard for family skiing, rather than paying through the nose for expensive, formulaic, boring hotels, I always do my research. Move away from the tour operators and you come across independent hotels, all competing for business, so they really go out of their way and it shows. Heidi Hotel is family-owned and run and caters to families in a way not seen by the UK market. Parents, grandparents and grandchildren travel together. Childcare all day every day for babies through to teens. There’s real relaxation for adults in their spa – the choice of treatments, steam, sauna and of course pool with mountain views for both adults and babies and a level of facilities that you would expect in a nursery or at school, all at a price that doesn’t break the bank. The hotel offers all-inclusive prices which means no unpleasant surprises when you come to check out. 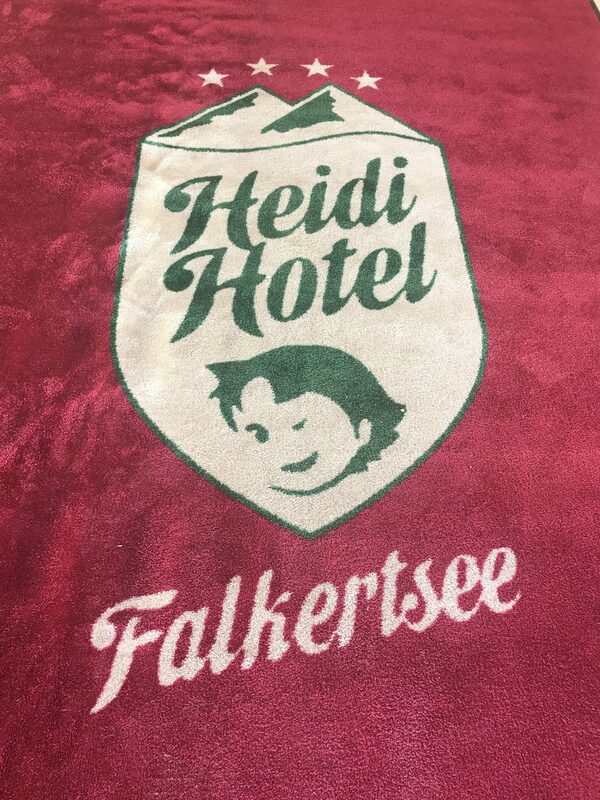 Heidi Hotel in Falkerstee is one of the original Kinderhotels or children’s hotels. It’s 2 hours from Salzburg set in Carinthea, southern Austria, an area characterized by mountains and lakes with lots of high altitude skiing. The Heidi Alm at Falkertsee is the perfect place for young skiers and beginners. You literally have the piste in the back garden. The Köfer family has been running this very special place for many years. It feels like a family home. Warm and cosy, spotlessly clean and nothing is too much trouble. You immediately feel at home here. Traditional, yet not outdated and exceptionally clean. There are room configurations for every family. From 20m square single rooms through to 78m square three bathroom, three bedroom, three apartment. Our room with south facing balcony, separate children’s room with bunk beds (and safety sides) was perfect. The bathroom complete with double sink and step for the little ones. Amenities galore; little robes, pool bag and rucksack for the trips out or to the pool or spa or even for that trip to the (free) washing and dryer. There’s also a baby room complete with microwave for preparing baby food. Food is plentiful here and quality top notch. From huge buffet breakfasts including fresh fruit, sliced meats, fish, cheese, yogurt and more to the waffles and egg stations preparing organic eggs to order. Loads of herbal teas, a state of the art coffee machine which is available to use at tea time too. You cannot go hungry. You come home from a mornings skiing to lunch – a good choice of wholesome food, fresh salad fruit and dessert, followed by more homemade cakes plus a savoury at tea time. Dinner is a chance to relax and enjoy a sumptuous meal. Food is a serous business here and products are locally sourced. Children get their own menu here and from 5.45 can eat with kids club ready for the evenings activities downstairs. 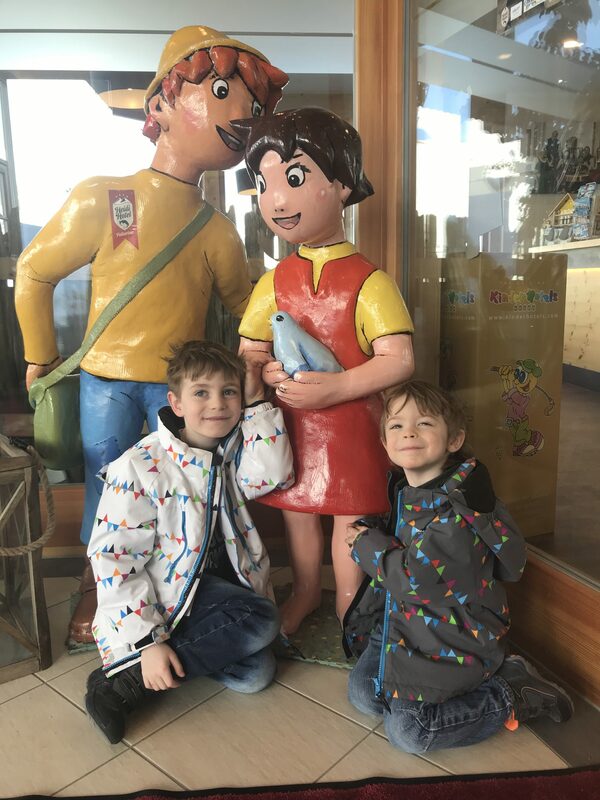 The hotel is perfectly sized and a safe space; you can feel comfortable letting older children find their way to kids club on the lower ground floor. Our daily Heidi newspaper in the morning alerted us to the weather and the day’s activities – yoga, mindfulness or pony riding and skidoo. Private saunas or fondue and gluhwein. There’s a floodlit toboggan run too and plenty of activities for non skiers. Walking here is a heavenly pursuit. Be aware, this isn’t somewhere you will be taking part in big group activities, this is an intimate hotel where if you so wish, the activities are there for you. It’s a personalised experience that you can only get from a well run independent hotel and what sets Heidi Hotel apart from the mass market. Convenience is also key to an easy ski holiday with little ones. Here, the ski room is just steps away from the piste where the smallest children are picked up each day by skidoo to take them to ski school at the bottom of the slope. 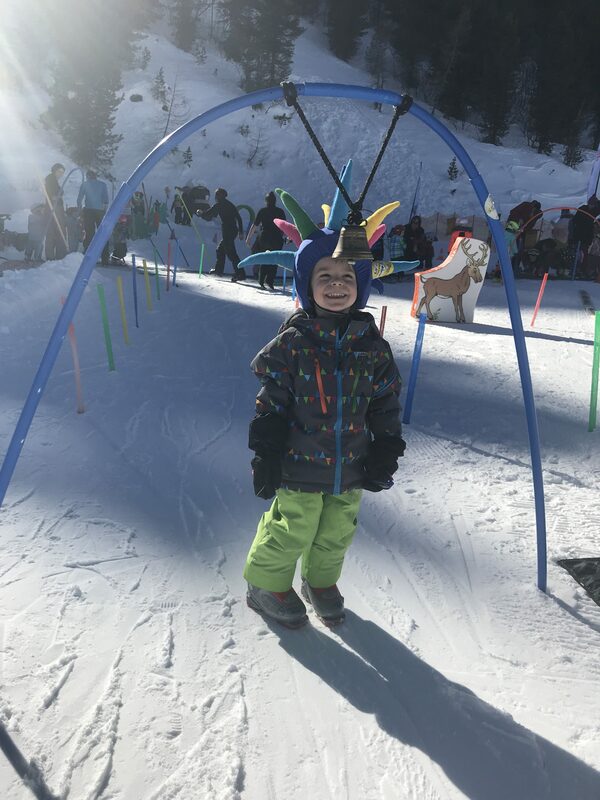 The Ski School Falkert is located just below the hotel and takes children from age 3. 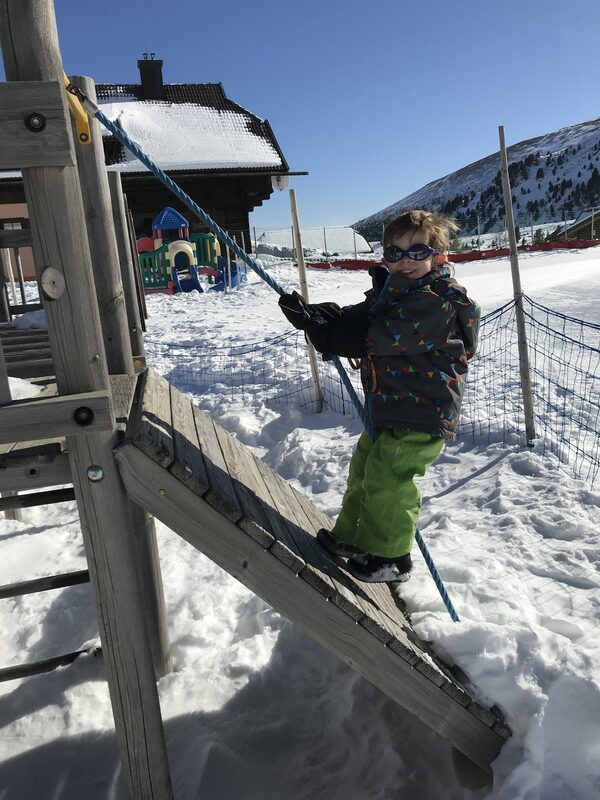 Games and songs and childcare on skis keeps the little ones happy on their nursery slope.The ski school, ski shop and equipment hire is all located together just below the hotel. Life couldn’t be any easier for a family ski trip. Simply rent your equipment and go. No queues, no fuss. Focus here really is on family. The more seasoned skiers amongst us explored the ski area. With Bad Kleinkirchheim and Turracherhöhe just a short drive away. 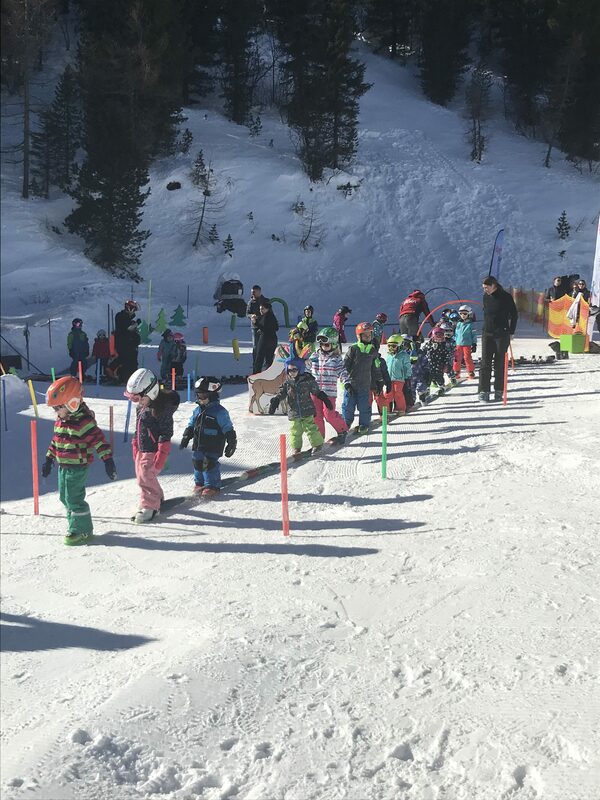 The Pertl Ski School run by the very charming Leonard, was particularly good, our instructor the trainer to trainers and the World Cup team kept baby ski school offering lots of really fun learning activities for little ones on skis. 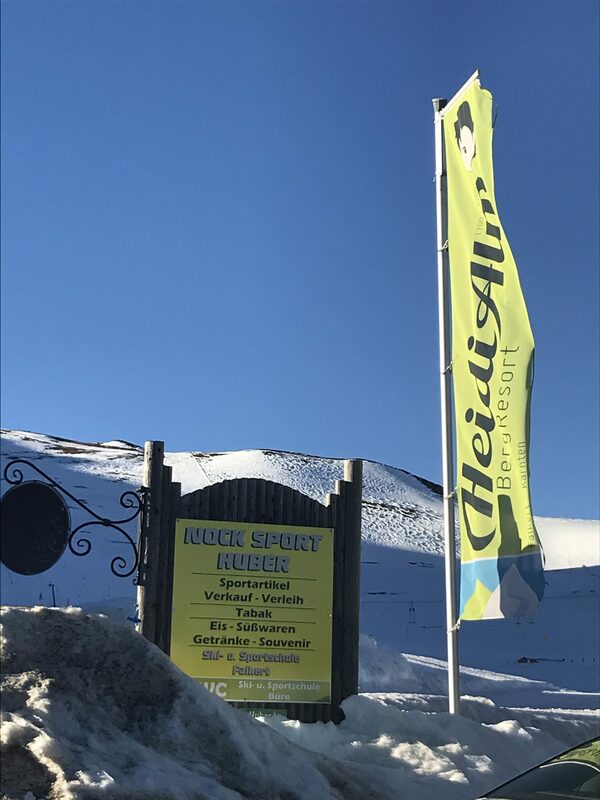 Bad Kleinkirchheim hosted the 2018 World Cup, so there’s challenging pistes, just no long lift queues. That’s the beauty of skiing in lesser-known resorts. It really is possible to relax here. Something not easy to find in a hotel that specifically caters to families but somehow on the continent it works. 1875m above sea level slap bang in the middle of the Carinthean mountains, the only thing to do is enjoy. Afternoons, although of course they can be spent skiing are really set aside for a slower pace of life in the mountains. Kids Club makes sure that there’s plenty of time spent outdoors in the fresh air before heading indoors to play games or get creative. One afternoon our children got to drive their own skidoo, another they went pony riding. Everything is on site. Kids club has separate space for toddlers, children and teenagers and my kids never got bored. There is a full program of activities throughout the day all included and properly supervised. Really fantastic in a smaller, characterful hotel. There’s a pool complete with waterslide, a baby pool and a children’s sauna. Steam rooms, fitness and even spa treatments for kids. The spa itself offers a huge choice of top quality wellbeing and beauty treatments. The Köfer family has a huge social commitment to the region and the hotel is also environmentally friendly, something that is more and more sought after by travellers. This makes them exceptional alongside an enviable position in 250 hectares of nature. Winter brings plenty of snow and summer brings alpine bliss, fresh air, and adventure in an extensive National Park. From fishing to feeding the animals to time spent in the adventure park, Heidi Hotel is a destination in itself winter or summer. Keep packing simple. Nobody stands on ceremony here. Stay comfortable and chic with a limited number of luxurious cashmere sweaters – easy-to-wear and cosy and warm too. For anytime but especially for a winter holiday, I love Willow Cashmere (5% of their profit goes to Child Rescue Nepal), paired with a simple pair of jeans, my absolute favourite being my latest pair from Next – the Petite Slim and Shape style are beyond fabulous and fit like a dream. LGR sunglasses, hand-made in Italy complete the look. They offer a range with side-flaps perfect for the mountain sun. For kids, make sure that they have slippers for indoors, a usual European practice and so much more hygienic. I swear by Richter, an Austrian brand offering the highest standards and lots of choice for growing feet. For cosy nights, invest in some Calida pyjamas – a Swiss brand that we always pick up on the continent. Soft, stretchy top quality cotton jersey; the best you can buy – I’m still wearing my favourites twenty years on, much to my husband’s amusement! Base layers are key for the outdoors. Head to Manbi for all the skiing essentials at reasonable prices. A Coolcasc helmet cover will keep your little ones within sight! Helmets are obligatory for kids now in Europe. I’m also loving the choice of goggles at RX Sport. They have become our go-to for everything sporty for eyewear and the team there really know their stuff. We flew from Gatwick direct to Salzburg with BA. Well worthwhile is the valet parking option at the airport. Simply drive into the short term car park, drop your keys and go. A no-brainier when travelling with kids. To really make things easy, get your luggage picked up and checked in at your home the night before you leave with Airportr. They partner with the big airlines and offer you luggage-free, thus stress-free travel. They can also deliver your bags to your house upon your return. So you can drive there and back without worrying whether you can fit your luggage in the car! A true game changer in my eyes. Prices from €1799 for 7 nights, 2 adults, 1child with child ski course and 2 ski passes, full board. 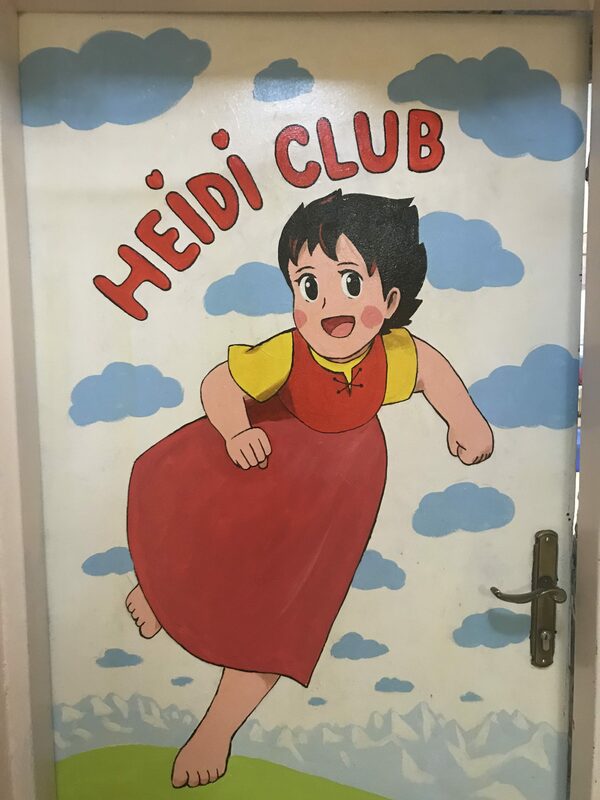 Heidi Hotel +43 4275 7222. Click on the link for more on travel to Austria and here for the region of Carinthea.